Feast of the Fields is an event celebrating the farm-fresh bounty available in Saratoga County and surrounding areas, and our volunteer chefs get to partner with many wonderful area farms to create unique, tasty, and healthy dishes. In addition, local vendors supply a wide range of products that make the great food you'll eat at Feast. Donated items include dairy products of all sorts, wines, beer, liquors, cider, fruits, jams, honey, flowers, natural decorations, and so much more. Saratoga PLAN is extremely grateful for the tremendous contributions made by our local farms and vendors to the quality of life in this region, and we hope that you learn to appreciate them even more after tasting what they produce. Please welcome the following farms and vendors to Feast of the Fields 2018! Anderson Acres, located in Charlton, is a family owned farm proudly offering beef, tomatoes, melons, corn, potatoes, other produce, hay and more. Their motto is Real Quality, Real Honest, Real Local. 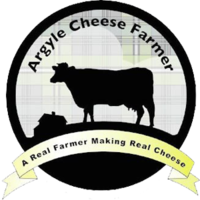 Argyle Cheese Farmer’s award winning products come from high quality milk produced from local family farms. All without the use of artificial hormones! Arnold’s Farm Fresh Produce is dedicated to offering the freshest and most local products you can find. The Arnolds grow their own produce including sweet corn, pumpkins, veggies, fruits, and berries. The farm stand offers an abundance of locally produced products and shows that they take pride in freshness, quality and keeping their business local. BLG Farms is a family-run farm based in Ballston Spa. Their farm philosophy has community, family values and work ethic at its core. Bowman Orchards invites you to enjoy nature’s beauty on ninety-eight tree-filled acres with over 46 varieties of apples. The Bowman Family also grows strawberries, raspberries, pumpkins, pears, peaches, blackberries, and much more! Bowman Orchards features pick your own apples, berry picking, and so many more seasonal activities. Cliff’s Vegetables was established in the last decade and has now become a popular producer of seasonal vegetables. Their fresh squash, tomatoes, kale, potatoes and other healthy produce can be found at the Green Market in Burnt Hills and Galway Farmers Market. They also have a roadside stand right at their farm. Denison Farm is committed to organic agriculture and is “Certified Naturally Grown.” The 164-acre Schaghticoke, NY farm is comprised of rich bottomland, wooded ridges, pasture, hayfields, marshes, and streams. The farm has a 21-year history of organic management and CSA marketing. Devoe’s Rainbow Orchards is a family-owned apple orchard and country store in Halfmoon, NY. The farm has acres of fields and orchards producing fresh fruits and vegetables which are sold at their general store. Featherbed Lane Farm is 63 acres of mixed woods, wetlands and fields. With its high quality soils, level fields and adequate water sources, the property is well-suited for agriculture. Farmer Tim Biello strives to run a successful farm business that produces nutritious foods while building soils, caring for their livestock, stewarding the land, respecting their employees and contributing to the community. Biello says the main reason why he farms with draft horses is he enjoys the process of working, learning, communicating and growing with them, and he loves doing it! 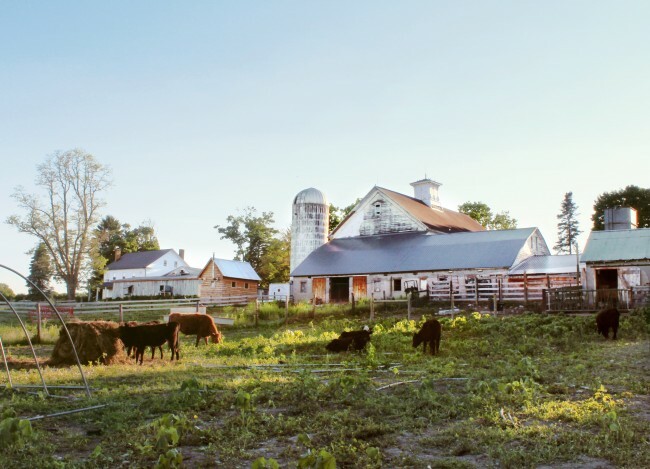 Gardenworks Farm is a century old, third generation family farm in upstate New York. They strive to create the best growing conditions so that the plants thrive and require little pest control. They harvest the quality you want on your table. Goode Farm is woman operated. It is home to their three-year-old son, Jules, a flock of heritage chickens, and a wide variety of specialty vegetables, herbs, and cut flowers. 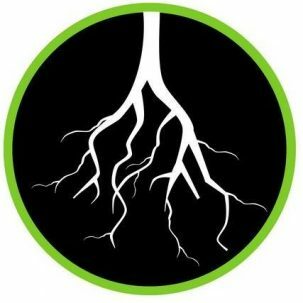 They report that clay and sandy loam, rich with the minerals that made Ballston Spa famous in the nineteenth century, provide ideal ground for the sustainable cultivation of plants and dreams that they never knew existed. Greenfield’s Forever is an organic fruit and vegetable farm and maker of Farmer T’s food products. They are supplying a local food system reducing the carbon footprint of today’s modern food business. Green Jeans Market Farm is a certified Naturally Grown farm located right here in Saratoga Springs. All crops are grown without synthetic fertilizers, pesticides, herbicides or gentically modified organisms. Heitman does all of his farming by hand and is always attentive to the natural processes of the land he cultivates. 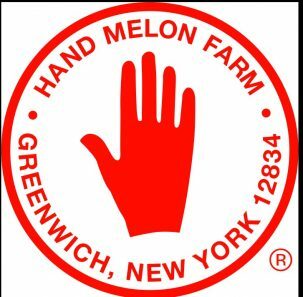 Hand Melon Farm, a 425-acre working farm in Greenwich, NY. They are always busy with over 20 crops that are raised for market, and pick-your-own crops including strawberries, blueberries, raspberries, tomatoes, sweet and hot peppers, eggplant, and fall squash. Hanehan Family Farms has operated since 1947. Current owners are Megan and Ian Borland, and Philip and Sally Hanehan. It was one of the first farms in Saratoga County to participate in New York’s Farmland Protection Program. As a member of the Agri-Mark/Cabot Farms Cooperative, a farm family owned cooperative, Hanehan Family Farms supply milk that is turned into award winning dairy products. Highland Farm has supplied the northeast with all natural, antibiotic and hormone free venison since 1989. Their deer are pasture raised and fed locally grown hay and grain. King Brothers Dairy is a long-time supporter of Feast of the Fields. With a long tradition of family farming, King Brothers supplies farm fresh wholesome foods and goods delivered to your door. Lewis Waite Farm are big believers in keeping things as close to nature as possible. Alan, Nancy and Colin Brown raise grass-fed and grass-finished beef and pasture raised, GMO free pork on land that is Certified Organic by NOFA-NY. 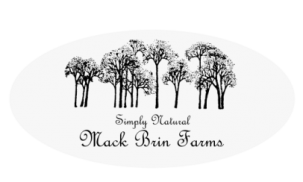 Mack Brin Farms grows and produces pastured roaster chickens, free range brown eggs, pastured pork and heritage meat rabbits. They are one of New York’s only conservation breeders of the critically endangered San Clemente Island Goats. Mack Brook Farm raises their cattle humanely with feed of grass and hay from Mack Brook’s pastures and fields. No antibiotics, hormones or GMO feed are used. This pasture-based farming is environmentally sustainable, reducing fossil fuel and chemical use, soil erosion and enhancing soil composition. Nettle Meadow Farm is a goat and sheep dairy and cheese company in Thurman. It was originally founded in 1990 and is the home of over 300 goats, dozens of sheep and a variety of farm sanctuary animals. 9 Miles East Farm is in the town of Northumberland, nine miles east of Saratoga Springs. The 29-acre farm was started in 2004 by Gordon and Mary Sacks. Their goal is to grow very safe, very healthy vegetables and make them available directly to customers through a very short supply chain. They encourage you to make an appointment to come visit the farm yourself if you are interested in seeing how they grow and, just as important, meeting the people who do such a high-quality job preparing your food. Otrembiak Farm. John and Steve Otrembiak bring produce, herbs, and/or seedlings to the Saratoga Springs Farmer’s Market. Everything they grow is done with thoughtfulness, care and natural methodology. Owl Wood Farm is a diverse mixed-vegetable operation located in Salem, NY. They are Certified Naturally Grown. Peckhaven Farm supplies milk that is turned into award winning dairy products as part of the Agri-Mark/Cabot Creamery Coop. Ramble Creek Farm joins Feast in 2018. They believe it is important to use practices that are good for the health of the animals, the land and the people. They manage pastures organically and do not use herbicides or pesticides. They are working to develop regenerative systems, where each aspect helps the next. The cows eat the grass, the grass grows a better root system, the chickens follow the cows to eat the bugs and so on. The pigs forage the forest and make room for new wild plants to grow. All of them help with weed control and add nutrients. Riverview Orchards is located in Rexford, NY and produces a variety of fruits and vegetables. 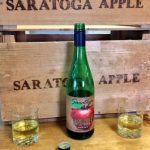 Saratoga Apple is family owned and operated by the Darrows who have been growing apples for five generations. They offer “pick-your-own” during harvest months, and they sell a wide variety of apples, peaches, plums, pears, cider, fresh baked goods, and produce. Apple cider donuts are made daily all year round. Shushan Valley Hydro Farm is an all natural, hydroponic greenhouse based in small hamlet named Shushan in Salem New York. They grow fresh, hydroponic tomatoes, cucumbers and herbs. Squashville Farm, located in Porter Corners, a small village north of Saratoga Springs, provides Feast with broccoli and kale this year for the first time. They grow some amazing greens, garlic and delicious goat meat for the grill! Starting seven years ago in their backyard, the farm has become expert in producing numerous varieties. They experiment based on what their taste buds like. St. Croix Farm is a family farm in Valley Falls, operated by the Moores since 1932. They raise pasture-based beef cattle, poultry and rabbit offered for sale year-round to individuals and restaurants. St. Croix Farm is also a licensed pheasant shooting preserve. Thomas Poultry Farm started in 1873 in Northumberland, and today at least 11 of the 17 employees at the farm are direct descendants of Jared Thomas who started the egg operation in 1948 with just 200 laying hens. Welcome Stock Farm is a dairy in the Cabot Creamery Coop, producing award-winning cheeses, butter, yogurt, cottage cheese, and sour cream. *Willow Marsh Farm in Ballston Spa is a multi-generational family farm, owned and operated by Charles and Darlene Curtiss. The farm has over 130 acres of permanently protected farmland. The farm produces beef, veal, raw milk, cheeses, and yogurt. Wm. H. Buckley Farm is proud to offer 100% all-natural products. Their beef is 100% grass fed, their pork, chicken and eggs are all non soy, and non GMO. They raise all of their animals without hormones or antibiotics and they are all free range animals. Wm. H. Buckley Farm is committed to using sustainable agricultural practices while raising their animals. Adirondack Pub and Brewery serves crisp and fresh ales that can be enjoyed year ’round by Lake George locals and tourists alike. They source all of their ingredients locally and use delicious water fresh from springs in the surrounding area. Anna Mae’s Homemade Jams’ founder, Anna Mae Clark, makes 84 kinds of preserves, jams, jellies, and spreads! To purchase her fruit jams, look for the lady with the hat brimmed with fruit at the Saratoga Farmers’ Market or visit her farm store in Ballston Spa. Artisanal Brew Works is run by two high school teachers in Saratoga Springs. They create high quality craft style beer that appeals to consumers who are looking for local, fresh, handcrafted beers. Ballston Lake Apiaries was founded in 2000. The busy bees at Ballston Lake Apiaries currently produce over 5 tons of honey each year. The honey harvest produces flows of sweet, golden nectar; but thanks to an increase in local demand and a loyal customer base, he doesn’t have to worry about having any leftovers. Cabot Creamery , part of the Agri-Mark dairy farmer cooperative, is owned by 1000 farm families throughout New York and New England. They supply award-winning cheeses, butter, yogurt, cottage cheese, and sour cream. DeCrescente Distributing Company is a family owned beverage distributing company committed to their roles as “keepers of quality”. Double A’s Bees is owned and operated by beekeeper Aaron Morris. He keeps 150 hives, providing the Round Lake area with bee-products. Aaron’s bee yards can be identified by the gargoyles that are kept on the hives to ward off evil spirits and Varroa mites. Glens Falls Distillery specializes in handcrafted, small batch spirits. These carefully created spirits are meant to be enjoyed neat, over ice, in cocktails and can also be used in extracts and sauces. Greenfield’s Forever, Greenfied Center, is the producer of Farmer T’s Pickles. Heron Hill Winery has been dedicated to excellence in winemaking in the Finger Lakes region since 1977. King Brothers Dairy is proud to offer the community high quality, glass-bottled milk and fresh, locally produced products, delivered directly to your door. The farm is located in Bacon Hill, an area that is rich in agricultural tradition. King Brothers Dairy provides fresh milk, and grows corn and hay to feed the cows. Luckey Bee Apiary, in North Easton, produces local raw honey and a variety of all-natural beauty products. Their honey, soaps, scrubs, and lotions are good for your body and soul! Maple Valley Farm’s Donald, Susan, Scott and Timothy Monica, the 5th generation of the Monica family working the farm, tap 2,000 maple trees and produce 500 gallons of syrup a year, available at The Barn in Corinth and at the Menands Regional Farmers’ Market on Saturdays. 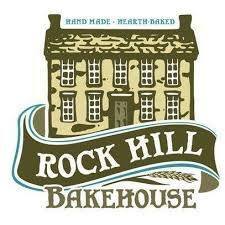 Rock Hill Bakehouse Cafe provides naturally-leavened, handmade, hearth-baked breads and biscotti, made from scratch with regional and organic ingredients since 1987. Time, intention and skill intersect to encourage a fully developed crumb encased in a magnificent flavorful crust. R.S. Taylor & Songs Brewery is a farm-to-glass brewery located in the heart of Washington County in New York’s farm country. At their farm, Misty Bleu Farm, they brew artisanal English-style ales. The also grow some of their own hops. So, when they say that they’re a farm brewery, they mean it! Saratoga Courage Distillery is entirely locally sour ced; from the water it uses, to the graphic designers and artists it employs. 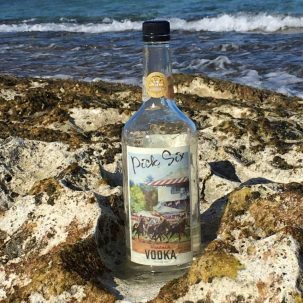 Their mission is create locally made products that compete with the finest spirits from around the world. 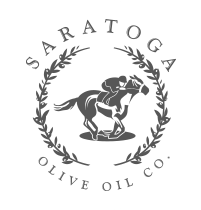 Saratoga Olive Oil Co. sells only the finest oils that are laboratory tested for polyphenol, oleic acid and FFA (free fatty acid) counts to ensure that the consumer is receiving the healthiest and freshest EVOOs found anywhere in the world! Saratoga Winery and Tasting Room is located in Saratoga and is proud to produce delicious, all natural wine with no added sulfites or chemicals altering the fermentation process. Stewart’s Shops guarantees the freshest dairy products because all of their milk and eggs are collected daily from family farms in the area. Upstate Distilling Company is located in historic Saratoga Springs, NY, rich with culture and tradition. They distill some of the finest hand-crafted spirits from locally sourced ingredients, including world famous Saratoga Springs water. Urban Roots is a juice, smoothie, and avocado bar in Saratoga Springs. Welcome Stock Farm is a dairy in the Agri-Mark/Cabot Creamery Coop, producing award-winning cheeses, butter, yogurt, cottage cheese, and sour cream. Winner’s Circle Brewing Company makes the rich, golden, and crisp American Session Ale.